The report is only an estimate, made using a model relying on publicly available outbreak data, so it’s far from an exact science. Further, the outbreak numbers are very small. According to the report, dairy consumption causes an average of 760 illnesses and 22 hospitalizations a year. Of those, they claim that 96 percent are caused by contaminated unpasteurized milk. Statements made in the study suggest it may be used as cannon fodder for the government to act against the interest of food freedom, especially in terms of loosening the nonsensical regulations that make it difficult if not impossible for so many Americans to access this natural food. 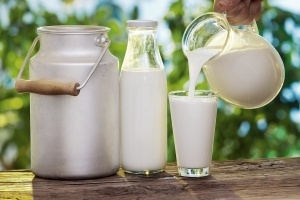 For instance, the CDC said: “An easing of regulations has allowed greater access to unpasteurized milk in recent years, and this study shows that illnesses and hospitalizations will rise as consumption of unpasteurized dairy products increases” — an assumption that paves the way for raw milk regulations, already a topic of heated debate, to be tightened. Also curious is the fact that the study specifically looked at raw dairy contaminated with escherichia coli (E. coli), salmonella, listeria, and campylobacter — the latter of which is commonly found contaminating produce and CAFO  (concentrated animal feeding operation) chickens! Most cases of campylobacteriosis are associated with eating raw or undercooked poultry meat or from cross-contamination of other foods by these items … Even one drop of juice from raw chicken meat can have enough campylobacter in it to infect a person! One way to become infected is to cut poultry meat on a cutting board, and then use the unwashed cutting board or utensil to prepare vegetables or other raw or lightly cooked foods. Also revealing, while campylobacter is the bacteria responsible for most cases of foodborne illness, leafy greens are actually the No. 1 source of food poisoning in the U.S, accounting for nearly half of all illnesses. It would seem to be a mystery why, then, raw dairy is considered worthy of banning, until you understand that it’s seen as a direct competitor to Big Dairy. As CAFOs became the norm for dairy farms (even in idyllic-seeming dairy states like Vermont ), farmers were forced to grow their herds and increase milk production using artificial (drug and hormone-based) methods, among others (like feeding cows an unnatural amount of grain-based food, 24-hour confinement and increased number of milkings per day). In 2016, the industrial dairy industry dumped 43 million gallons of milk due to a massive milk glut . The glut was the result of a 2014 spike in milk prices, which encouraged many dairy farmers to add more milk cows to their farms. U.S. Department of Agriculture (USDA) data showed that dairy cows increased by 40,000 in 2016, with a 1.4 percent increase in production per cow. The only happy faces in the Vermont dairy industry are Ben & Jerry’s, Cabot Cheese, Dean Foods, and a few other conventional milk users. They are happy because they are making huge profits at the same time that milk prices to farmers are hovering in the $13 to $15 range for 100 pounds of milk (11.6 gallons). The farmers are not happy since they are hemorrhaging money — lots of money — since it costs about $22 to produce that 100 pounds of milk. Both St. Albans Co-op, which supplies Ben & Jerry’s, and Agri-Mark, which supplies Cabot, have been losing an increasing number of farmers to bankruptcy because of too much conventional milk and low prices; all this, while their corporate profits soar. Raw milk cheese  is so common in Europe that you can even find it in vending machines, while in the U.S. federal regulators have been threatening to ban raw milk products, including raw cheese, due to what they claim are increased safety risks — safety risks that have been greatly overblown. The U.S. Food and Drug Administration (FDA) surveyed more than 1,600 raw milk cheeses in 2014 and found only 10 of them, or 0.62 percent, contained listeria. Not to mention that, in the U.S., raw milk cheese is aged 60 days before being sold to consumers. In some types of cheeses, such as Gruyere, this process leads to a lower moisture, more acidic environment that discourages the growth of pathogens like listeria. And there’s a reason why many award-winning cheeses are made from raw milk. There are all these great enzymes living in the milk when it’s raw that create flavor profiles. When milk is pasteurized, they get extinguished so you have to add cultures to accentuate the flavors of the milk … I’d love for people to really try raw milk cheese. In Europe people don’t want pasteurized cheese. They know how good raw milk cheese is. In North Dakota, House Bill 1433 would have allowed farmers to sell raw milk directly to consumers. As it stands, North Dakotans who wish to purchase raw milk must purchase a share of the cow or herd. The “Food Freedom” bill also includes other measures, like a cottage food operator provision that allows people to produce and package food made in a home kitchen, as well as an exemption from grading eggs that come from a producer’s own flock. Raw milk is one area that can help farmers to sustain and grow their dairy business … The opportunity to be able to create a larger market and better marketing ability will be a great assist to our farmers. Your help is needed. Please DONATE NOW to support raw milk farmers and help provide funds so they can continue with the tough legal challenges that are required to fend off these government assaults against our right to quality GMO-free, soy-free and organic grass-fed foods from the farmers we know and respect. To be an important part of this fight please consider helping with any amount you can. What’s Really Causing Massive Rates of Foodborne Illness? In 2017, salmonella was also detected in jalapeno-flavored potato chips  and frozen brownies (packaged alongside frozen chicken nuggets and macaroni and cheese),  while listeria was found in frozen pizzas. The bottom line is that bad bugs are found in many food products during random sampling, which means, if you use the same justification used to vilify raw milk, virtually all foods would be banned. Do You Believe in Food Freedom? Truth be told, many people should not consume dairy whether it is raw or pasteurized, as they are allergic to the milk proteins. Additionally, if you’re insulin resistant, you would likely be better off avoiding raw and pasteurized milk, as it contains the dairy sugar lactose, which can worsen insulin/leptin resistance . However, if you are healthy and want to drink milk, grass fed raw milk from a high-quality source is generally superior in nutrition and flavor. It will also help to decrease the likelihood of insulin spikes from the milk sugar, courtesy of the thick layer of cream  on top. But whether you’re a milk drinker or not, there’s no doubt that you should have the option of choosing what to eat and from what sources. This is why the fight over raw milk stands as a symbol of the much larger fight for food freedom. Who gets to decide what you eat? You or the FDA? If the FDA and other government agencies are allowed to impose their view of “safe food” on consumers, raw milk won’t be the only thing lost — one day virtually all food could be pasteurized, irradiated and/or genetically engineered.